I spoke with a client yesterday about the importance of a wind mitigation inspection. Homes older than 2002 usually need a wind mitigation inspection for the most savings on home insurance Cape Coral. See our page for home insurance where we discuss in more detail the mitigation inspection. Be careful to make sure you have a homeowners insurance policy that covers you for tenants. This is called a DP-3 policy. A problem we just saw with a tenant used home, was that the tenant had a business run out of the home. If your tenant is running a business out of your home, you rent your homeowners insurance policy might not cover you in a claim. It is still alright to have a home office at your home. Where it would be an issue is if you have clients, or customers coming to your home for business related services. In this situation your home insurance policy wouldn’t cover you. Spoke to a client today, and he was wanting to know if his dog would be covered under his home insurance policy, if his dog were to bite someone. I let him know the coverage for this is animal liability. This homeowners’ insurance coverage must be purchased separately as an endorsement. Usually this is a $50 endorsement with most home insurance companies. Some breeds of dogs aren’t eligible for the animal liability endorsement on your home insurance policy. Best to check and see what dog breeds are eligible for the coverage. Common breeds not covered would be Pitbull’s, Rottweilers, Act… German Shepard’s are usually on the ineligible list, but some companies will allow German Shepard’s on the home insurance with the animal liability endorsement. So to be safe it’s best to contact us and we’ll make sure and let you know if your dog is eligible for the coverage. 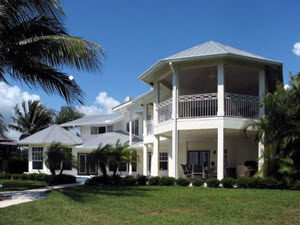 See three homeowners insurance tips written by our agency located in Cape Coral, FL. We discuss mitigation inspections, landlord policy's, and dog bites.